Put on your funniest performance in our Purple Afro Wig. 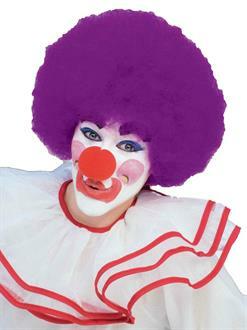 This large, curly headpiece makes a great addition to a clown costume. Great for a child's birthday party, or as a humorous Halloween disguise.